May 31, 2018 – As the World Karting Association (WKA) Manufacturers Cup returns to the Midwest, series officials are pleased to announce discounted entry pricing for two of the Yamaha powered classes and the return of a popular award. While Yamaha Sportsman and Yamaha Senior drivers will receive entry, tires and two days of racing at a steep discount, KA100 Senior competitors will battle for the popular ‘Sword’ in the KA100 Senior Throw Down at Concept Haulers Motor Speedway. In place for both events at Concept Haulers Motor Speedway in Norway, Illinois and New Castle Motorsports Park in New Castle, Indiana, Yamaha Sportsman competitors will receive entry for two days of racing and one set of Bridgestone YLC race tires for $195.00. Yamaha Senior drivers will receive entry for two days of racing and two sets of Bridgestone YLC Tires for $415.00. Not to be out done, the KA100 Senior class will be vying for money and ‘The Sword’ at the upcoming Illinois event. Online entry for the KA100 Senior class will include two days of racing and race tires. All drivers must be pre-entered to be eligible for Saturday and Sunday awards. All Yamaha drivers must pre-enter online to take advantage of Yamaha class pricing discounts. 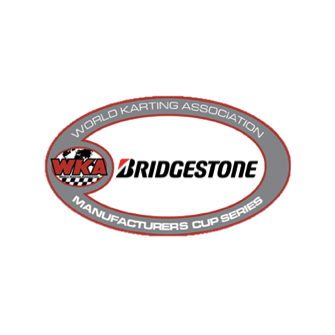 Entry forms and additional information are available by following the series link to the WKA Manufacturers Cup on the WKA website at www.WorldKarting.com. Officials at Concept Haulers Motor Speedway in Sheridan, Illinois are proud to announce the 1st edition of the Yamaha Shootout. Scheduled for Saturday April 29, the Shootout will be incorporated into the regular Saturday racing schedule. Entry Fee for the event is $75, $100 the week of the event, or at the gate, just a $20 increase from the normal Saturday Club races. Over $3,000 in cash and prizes will be on the line at the famed Illinois facility. Featuring both Yamaha Senior and Junior classes, The race will consist of a 10 lap pre-final with a 22 lap final. Drivers are welcome to come out for practice on Friday April 28 from 10am-6pm. For more information regarding the 1st Annual Yamaha Shootout, call the track at (815) 496-CHMS. If you are a track, club, or group that is part of the WKA Insurance and Wristband program, and would like to further promote your events on the WKA site, contact Buddy Long at buddy@worldkarting.com.